Caring for your Trees for the 2018 Hurricane Season – ALLPRO Tree and Landscaping Inc.
Hurricanes are some of the most destructive forces on earth, as many Florida homeowners can attest to. Wind damage to homes and property can run into the millions of dollars. The 2018 hurricane season, according to tbo.com, will be another active year. The CSU Department of Atmospheric Science Tropical Meteorology Project’s forecast was just released Thursday. The Saffir-Simpson Hurricane wind scale paints an informative picture of potential damage to your trees from a hurricane, particularly improperly pruned trees. Using a rating system of 1 – 5, it warns that, at 74 to 95 mph, a category 1 hurricane can cause damage. “Large branches of trees will snap, and shallowly rooted trees may be toppled,” possibly causing “extensive damage to power lines” creating outages that can last “a few to several days.” Downed trees can block roads, delaying the response time for emergency crews. Snapped branches can become lethal projectiles. The time to prepare is now. When you take the steps that you need to make your home secure, don’t forget one important element that is often overlooked and can cause damage to your home, your trees. The solution is not the removal of trees but taking proper preventative care of them. 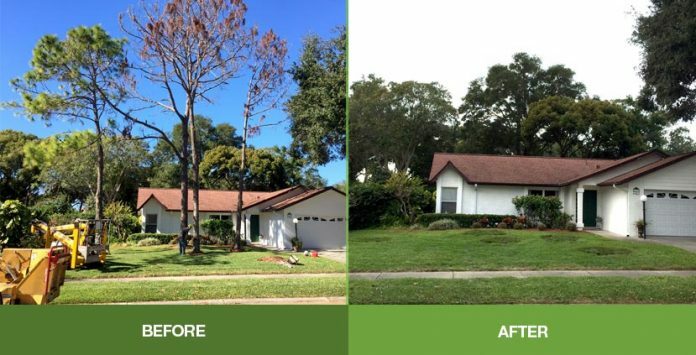 According to certified arborist and owner of ALLPRO Tree and Landscape Inc, Pete Spiridis, a lot was learned from the damage that was caused to and by neighborhood trees, during the 2017 hurricane season. He said that “more of the trees that failed were improperly pruned trees.” Proper pruning not only improves your trees’ overall health, it ensures that your family will be able to enjoy the shade of their favorite trees for many years to come. Pete encourages you to call him at either (727-409-3315 or 813-244-9234) or visit the website at www.myallpro.com to make your appointment for a free, no obligation inspection of your trees. Arboreal diseases, detected early, can be controlled and cured. Unpruned or improperly pruned trees are more susceptible to disease than properly maintained ones. 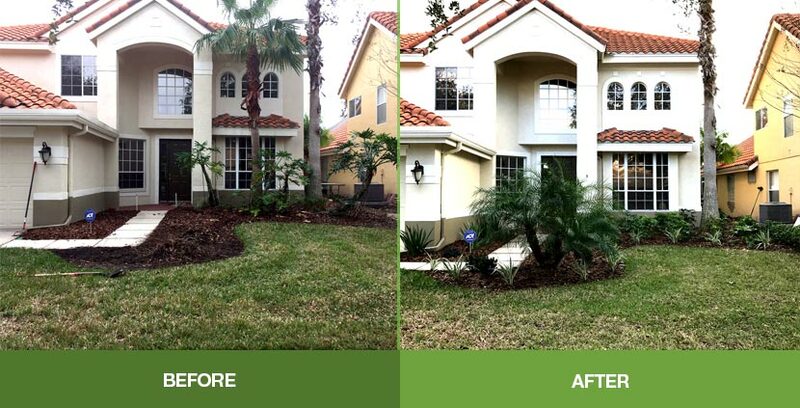 ALLPRO not only diagnoses and crafts unique landscaping solutions for your grounds and trees, but also uncovers any underlying causes that may be contributing to your tree/landscape issues. A full-service tree and landscaping service, ALLPRO provides tree trimming, tree removal, tree stump grinding, landscape design and installation as well as yard clean up and all landscaping services. If you are wondering if ALLPRO lives up to its reputation of providing “the elite service that you deserve,” as their website pledges, why don’t we just ask the experts? National online home service guru, Angie’s List, was impressed enough to present ALLPRO with their “Super Service Award.” The Better Business Bureau, who analyzes and rates companies, according to both the quality of the service they provide, and the complaints received about them, awarded ALLPRO Tree and Landscaping Inc. its highest rating, an A+!!! So many of their satisfied customers are also happy to confirm the excellence of the service that they received from ALLPRO. If word of mouth advertising is the best form of advertising, David K. is one of their best advertisers. Susan Y. said “I would highly recommend ALLPRO Tree and Landscaping.” Julie K. was also in agreement when she said that she “can’t say enough good things about them.” Visit their website at www.myallpro.com to read more of these positive testimonials. With hurricane season just around the corner, while you are preparing your home, don’t forget your trees. Dead branches and over-hanging limbs represent potential hazards. The folks at ALLPRO are ready to help. Just call (727-409-3315 or 813-244-9234) and don’t forget your free, no obligation inspection. Previous articleCome Celebrate Mother’s Day Weekend at Mother’s!